Order within 13 hours 25 minutes for Same Day Delivery! 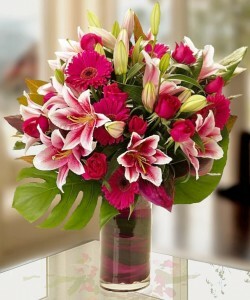 This arrangement packs a punch in pink! Deep magenta, pink, fuchsia, and maroon play off intriguing tropical accents! This is the one if pink is the color. We make a smaller version for $79, shown at $89, and going a bit crazy at $99! This has been a best selling arrangement for several years because of its lovely colors and natural style. 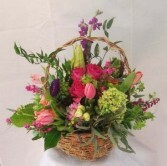 The Valerie Basket is perfect for so many occasions; Birthday, Anniversary, Get Well and Home Sympathy. As the seasons change so will the specific flowers we use based on what is available. We will always maintain the color, look, and feel of the arrangement! This serene, gardeny bouquet has everything going for it! 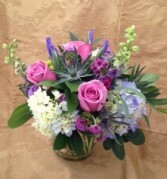 Lovely seasonal flowers in pinks, blues, lavenders accented with luxurious greenery. 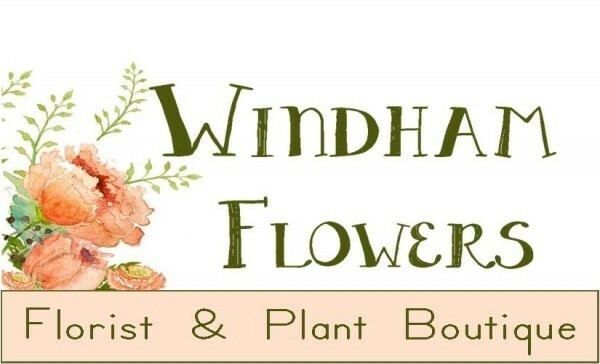 The specific flowers and accents will change with the season, but the overall look and feel will be just the same! The larger version is more 'flower packed' and is arranged in a larger jar. We love modern, stylish arrangements like this one; it totally showcases the awesome beauty of a single flower: in this case, green mini cymbidium orchid! PLEASE NOTE: We have plenty of these for the holiday but we may need to sub the color! Artfully arranged in a clear vase, the accents provide structure and interest. 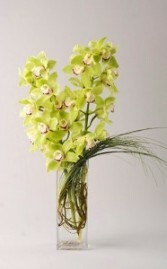 As shown with two mini cymbidium stems is just amazing! Very cool in a smaller size as well with one stem at $79. This is a long lasting beauty!